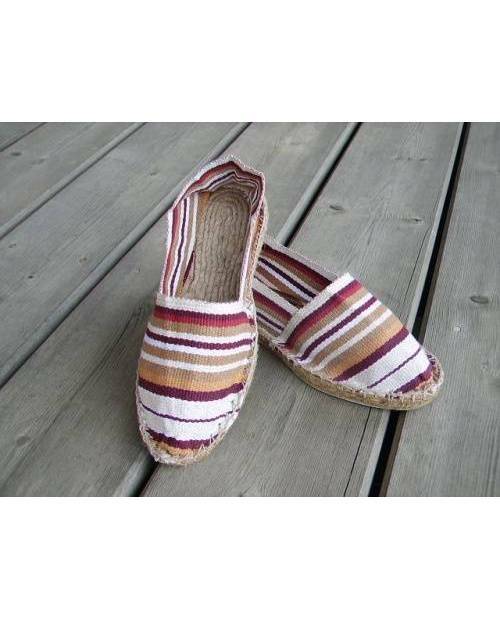 Sunny days will not be long to show their noses, it will be necessary to leave the Catalan espadrilles made ​​in Heart Jacking! You hog the latest Catalan sneakers really connected! 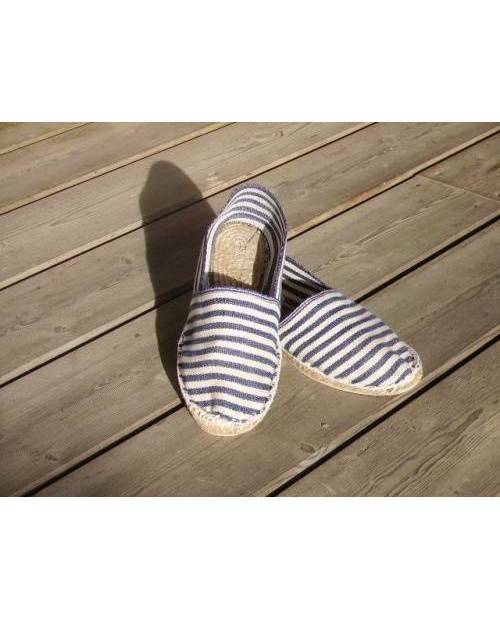 Catalan espadrilles, foolish to miss with the beautiful days! 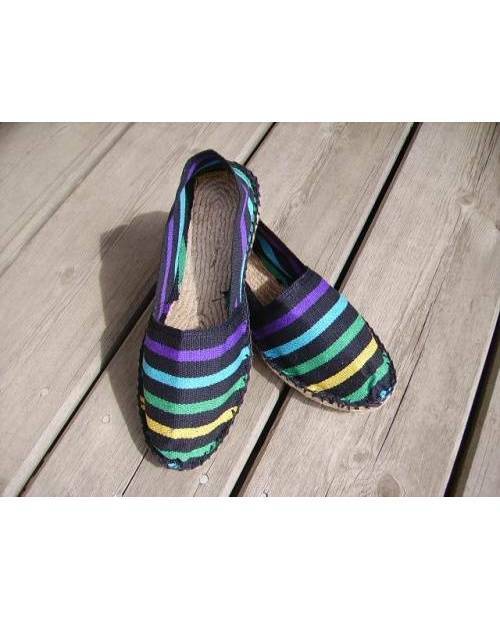 Catalan sneakers are quite light and vivid colors pump. One thing is certain, impossible not to renew when the opportunity arrives and especially with the return of sunny days. This pump, convenient and not very expensive, is adorned with reliefs in time trends and patterns. Our Catalan sneakers adorn young women as well as men sparkling! If you listen to some legends, the sneaker Catalan was born in Spain, and would have been worn during the thirteenth century by the army court. The word sneaker has its roots in the word Esparto, a variety of rope that we torsadait to make the bases sneakers Catalan. Closer here, this accessory has necessarily been made in the Basque Country during the 18th century by carpenters hemp and flax. However, its use has spread mainly from the years 1860 to 1870. The fabric was originally used flax, over the years it was changed by colorful cotton. Sneakers Catalan Heart Jacking, An Access To Experts! Halfway between traditional skills and street art this pair of sneakers Catalan rediscovers with a superficial update to messesr us and make your place in the current trend. Heart Jacking tried to maintain its innovative claw added to the Basque origin of the sneaker Catalan tradition. With its perfect frame and cotton fabric all these pairs of sneakers Catalan will envy. Comprising a sublime fabric and hand woven his skate, the Catalan Pyrenees sneakers persist in this spirit with many warm colors. 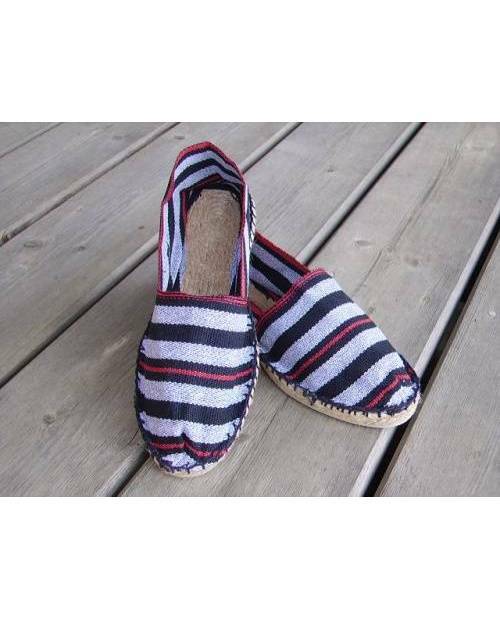 Developed in France, the Catalan espadrilles will accompany you on your travels and persist for a long time with this neat we claim finish. Controllable size between 35 to 47. Our Catalan sneakers are available in several colors and with different patterns so that everyone has his pair of sneakers Catalan desired. Regarding spills and dirt, our Catalan sneakers clean the washing machine, a further argument if still needed to convince you.